The Austrian Army has arrived in time for Hahnenkamm Race week all over again and were warmly welcomed by KSC President, Michael Huber. „It is our mission to support the Hahnenkamm Races in the best possible way,“ explains Peter Lamprecht, Captain and Head of Operations with the Austrian Armed Forces. 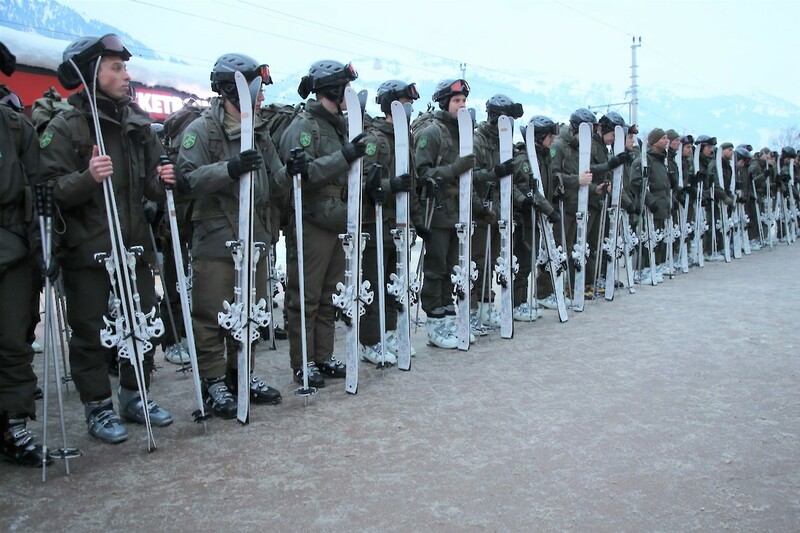 Over 80 men will be deployed at Hahnenkamm over the next few days. „First of all, we will work on the Streif. Our team will be deployed there in two sectors, where one contact person from Kitzbühel Ski Club will oversee operations“, says Lamprecht. The Slalom slope must be prepared at the same time for Sunday. Depending on the weather, the army will help clear snow, ice on the slope or erect fences. ...says Lamprecht with a smile.